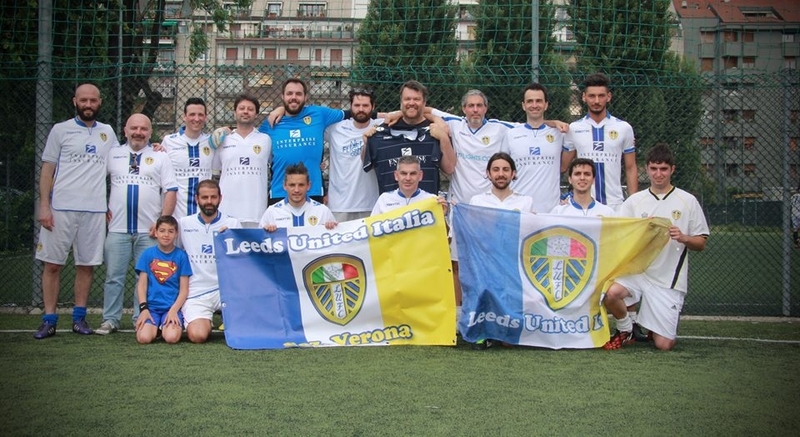 For the 3rd time Leeds United Italia has taken part in the Italian Connection, a 7-football tournament which involves Italian branches of British teams. In the two previous editions there were 16 teams, but considering its last great success the organization has added four more teams, thus increasing the total to twenty. The teams included were: Italian Bees, Lombardia Hearts, QPR Italia and special guest “Leones” Italia, the Athletic Bilbao supporters (the only non-british team). The tournament started at 9.00 a.m. with the first phase of eliminatory groups. Our team has been drawn in the most difficult group, as Chelsea Italia and Saints Italia would achieve to play the final match for 1st place, Everton Italia and QPR Italia. The debut match was not so lucky as we faced Chelsea losing 3-1 with our only goal scored by Mirko Gerlando. Our second match was against Everton Italia, a classic for us in this tournament as we faced them also in the previous editions, always earning 1 point from the match. It would be again a draw, 1-1, as Giorgio Corrado scores with an evil touch close to the goal. The third match was against Saints Italia with a deserved 3-0 loss. 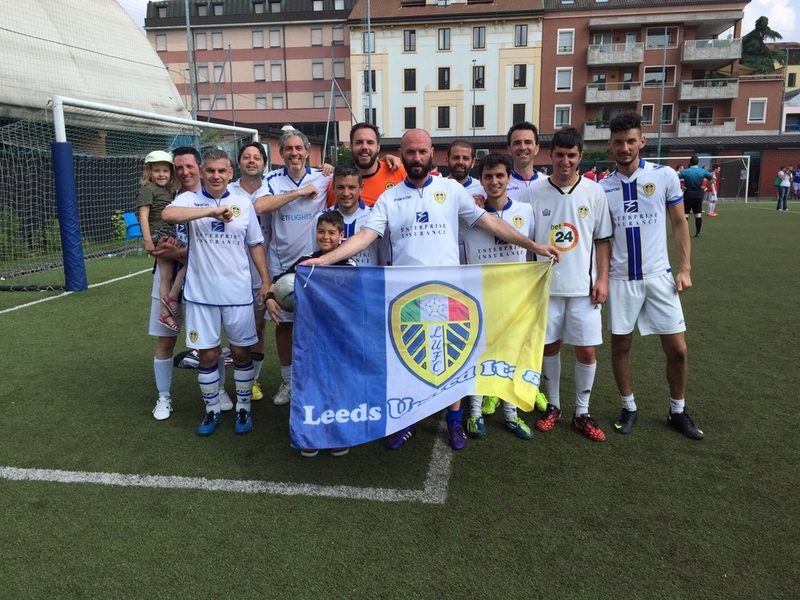 The first win was in the fourth and last match against QPR Italia thanks to Mirko Gerlando, Giorgio Corrado and Luca Paradiso, who scored for Leeds. We finished 4th in the group, a place that brought to the “consolation table” from 9th to 16th place. 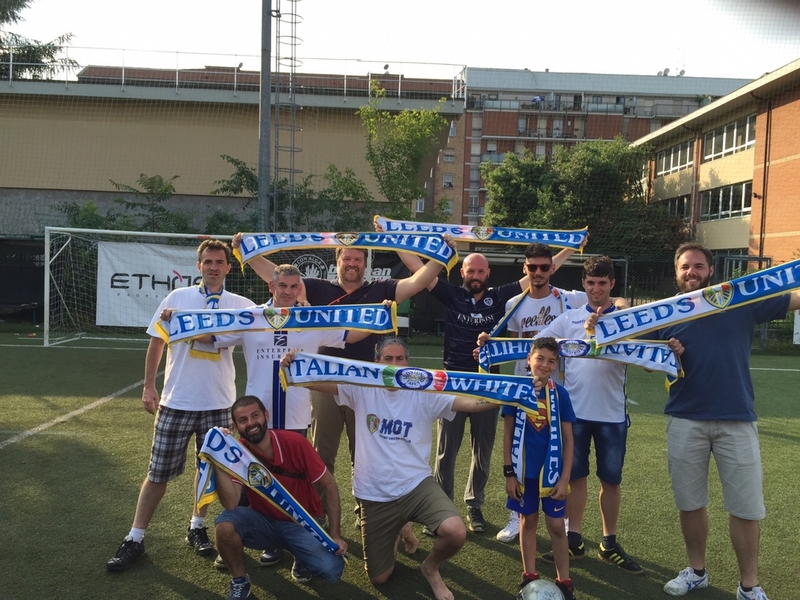 Fate lead us to the Derby Roses against Red Army Italia, whose supporters are beyond the Pennines. Last year our Fabrizio “Beckford” Trusiano procured us a fabulous win in that game. But his decision to move in England for work reasons deprived us of our secret weapon. After dominating the match, hitting twice the bar and missing a lot of goals, we conceded two disappointing goals as the match finished 2-0. Magpies for us in the semifinal for the 13th place. Our experienced defender Fabrizio Rigo scored on a free kick which took us to the penalties, where our precision provided us a 6-5 win. In the last match, the final for 13th place was against Irons Italia, West Ham supporters: Mirko Gerlando scored in the beginning of the match and in the second half Federico Grattapaglia took us to 2-0. Irons scored the 2-1 goal, but Federico Grattapaglia realized his double and fixed the result on 3-1. But our position in the game was not as important as taking part to this great event which let all the Italian supporters of English teams to pass an unforgettable day. The happiest were surely to be the Italian Gooners, celebrating the FA Cup win of their team in the evening. Chelsea Italia won the tournament, winning after penalties, the final against Italian Saints. Our squad: Albertini Matteo (GK), Costantini Alessandro (GK), Rigo Fabrizio, Forigo Patrik, Ridolfi Filippo, Raffanini Massimo, Tretola Roberto, Renosto Marco, Ciba Alex, Paradiso Luca, Corrado Giorgio, Piergiacomi Fabrizio, Gerlando Mirko, Grattapaglia Federico.